Piano-Accordion, Piano, Electronic Keyboards, Guitars, Drums, Mandolin, Bongos. Play & Sing along techniques. Voice culture and Speech Therapy. Music and Rhythm Composition & Music Arrangement. Kadambari Sangeet Mahavidyalaya Indirapuram is an endeavor of Kadambari Sangeet Mahavidyalaya, a music learning institute that has the strategic and operational capability to nurture the hidden music talent in a person. Our mission is not only to teach music to a person but make them understand the depth of music. Provide professional courses for all the instruments. Provide courses at lower cost as compared to any other institute. Guarantee that every student would be an expert musician. 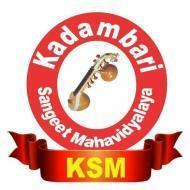 Kadambari Sangeet Mahavidyalaya conducts classes in Bollywood Dance Classes, Dance and Guitar. It is located in Rohini, Delhi. It takes Regular Classes- at the Institute.